Finished! Mildred Trevor-Thornes profile angle. 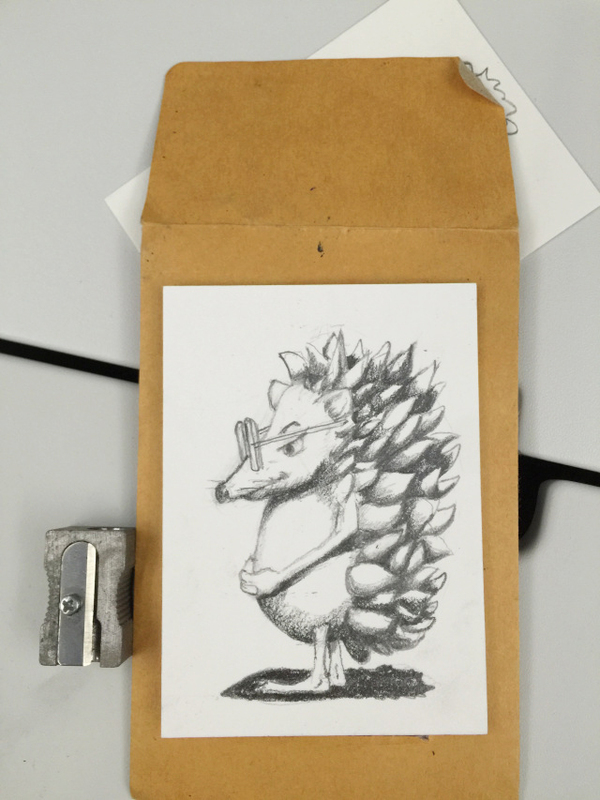 I finished the drawings for the winner of The Great Mushroom Detective’s hedgehog-character naming contest. I ended up calling the international-hedgehog-of-mystery-criminal-mastermind Mildred Trevor Thornes of the Hedgely Trevor-Thornes. It started with casting the villain for The Great Mushroom Detective: The Case of the Golden Mushroom. Once I settled on the hedgehog, I needed a good name. Readers to the rescue! Big thanks to Dolly Tartan who supplied the names Mildred or Thornes. The portrait angle of Mildred was pretty difficult for me but I finally came up with a sketch that I like. I love how she looks like she’s up to wickedness in the front-view. The portraits I drew made her look too sweet. I drew on artist trading card illustration board. I really like that surface for drawing. Here’s the finished gift (photographed on the train so there are some weird reflections). Present for Mildred Trevor-Thornes naming contest. 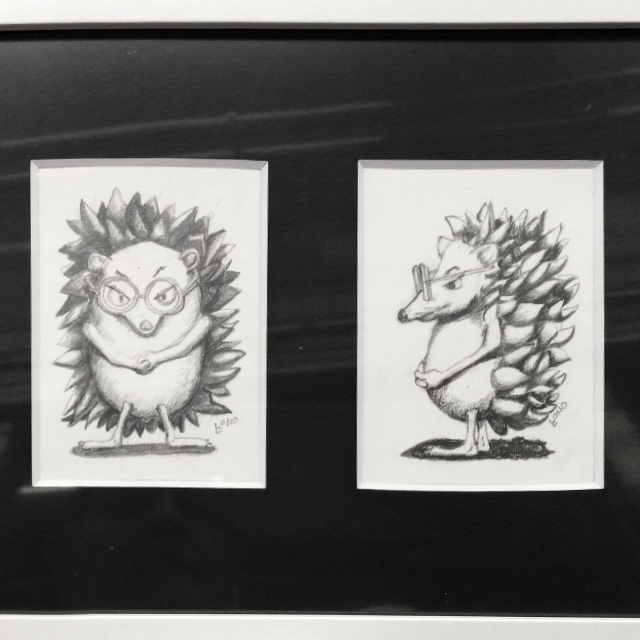 This entry was posted in art, creativity, drawing, Humor, Uncategorized, writing and tagged characters, children's stories, contest, Drawing, hedghogs, illustration, mainichi mushroom, mildred trevor thornes, naming, stories, The Great Mushroom Detective, zines. Bookmark the permalink.